The new DROID lineup will officially be unveiled on Tuesday during a Verizon event, but there are still plenty of details that are doing their best to avoid us. While we still do not know specs at this time (anyone claiming to know them are simply speculating), we do have what appears to be a new picture of either the ULTRA or the MAXX with a red racing stripe down the back. The source claims that this is a variant of the MAXX, but we were told that this may actually be the ULTRA. 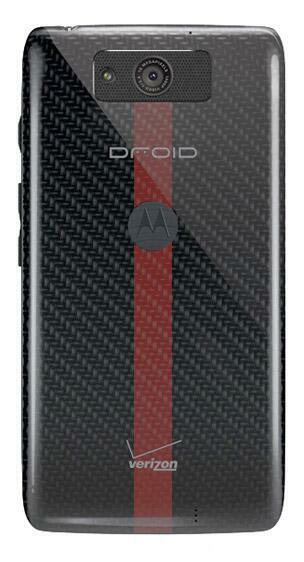 Either way, I’m kind of digging the red stripe rather than the full red back that we saw earlier in the week. Previous reports suggested that the ULTRA would come in black, white, and red, with the MAXX only showing up in black. Maybe things have changed? Employee edition?